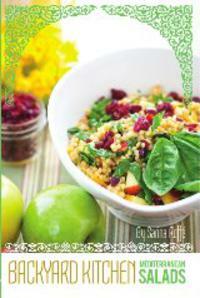 Recipes in Sarina’s Sephardic Cuisine follow Jewish dietary law, as set forth on the Book of Leviticus. As such, meat and meat products are never in the same recipe as milk and milk products. Certain animals may not be eaten at all. This restriction includes the flesh, organs, eggs and milk of forbidden animals. Of all the animals that may be eaten, birds and mammals must be killed in accordance with Jewish law. All blood must be drained from the meat or broiled out before it is eaten. Meat cannot be eaten with dairy. Fish, eggs, fruits, vegetables and grains can be eaten with either meat or dairy. Utensils that have come in contact with meat may not be used with dairy, and vice versa. The interpretation of kashrut varies by rabbi, but these are the main ideas. Kosher dietary law provides that meat and milk products must be consumed separately and that a period of time elapse in between. For example, if eating a meat product, you must wait a period of time before eating a milk product and vice versa. The period of time varies by interpretation and a rabbi should be consulted. Dishes, pots and utensils used to prepare meat dishes and dairy dishes are also kept separate. Therefore, a kosher kitchen will have meat dishes, flatware and cooking utensils and dairy dishes, flatware and cooking utensils. Sephardim may use glass dishes for both, since they are not absorbent. Meat products may only be derived from an animal that has split hooves and chews its cud. The animal must be ritually slaughtered by a specially trained and qualified slaughterer. The animal must feel no pain. Animals in this category are cattle and bison. Some animals, such as pigs, are forbidden as they do not have split hooves and chew their cud. Kosher fowl are domesticated birds such as chickens, hens, turkeys, duck and goose may be eaten if ritually slaughtered. Fowl are in the meat category. Only fish with scales may be eaten. This includes, but is not limited to, salmon, flounder, sea bass, haddock, cod, red snapper, etc. However, catfish, swordfish, and all seafood (lobster, crab, scallops, etc) are forbidden. Fish, like eggs, are considered parve, that is, they are neither milk products nor meat products, as an such may be eaten with either meal. Kosher products in the grocery store are generally marked with a kosher symbol. Here are some kosher symbols found on products. Note: The “K” symbol means that the company represents the product to be kosher. There is no assurance that a Rabbi or agency certifies the product. The kosher consumer is advised to always investigate who stands behind the symbol before purchasing any product. For more information on kashrut laws, consult your rabbi.